The Fluval Edge Digital Aquarium Thermometer is an ideal thermometer for freshwater and saltwater tanks. 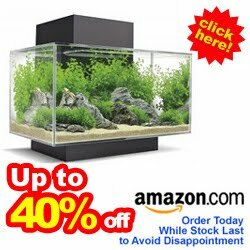 If you have a very sensitive system such as reef or Fluval Edge aquarium which must be maintained at a certain temp, the best tool you should have is an in-aquarium thermometer like this Fluval Edge Digital Aquarium Thermometer. The Fluval Edge Digital Aquarium Thermometer is accurate and easy to read. It ranges 64 to 86 degrees Fahrenheit, and comes with an adhesive backing which makes it easy to mount to the outside glass. The Fluval Edge Digital Aquarium Thermometer is part of fluval edge aquarium accessories by Hagen that give you a great way to maintain the proper temperature for your aquarium, ensuring that your inhabitants are living in a comfortable environment. This product definitely works, no doubt about that. I really think they could of done a better job giving you a more accurate temperature. I've noticed it's accurate within 2-4 degrees. The thermometer has such big jumps in the intervals, it goes from 64-68-72-75-79-82-86. Other than the fact its not extremely accurate it works perfect for what I need. I just use it for a quick glance to ensure my heater is working, which is all I really need. I have a more accurate one I picked up locally that I can look at for more accurate reading.